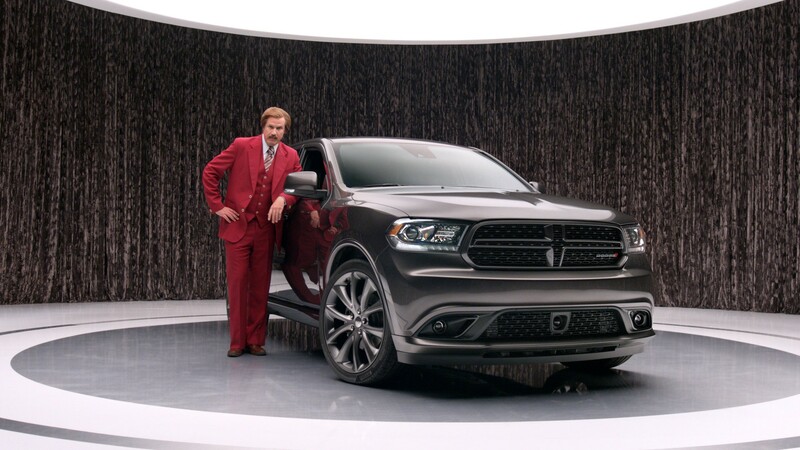 Joe Girard is the Guinness Book of World Records’ “greatest car salesman” (to Ron Burgundy’s chagrin). He alone sold more cars than 95% of all dealerships in America, more than 13,000 cars from 1963–1977 (14 years). 13,000 cars ≃ 13,000 customers. (yay math). Car salesmen like Joe didn’t have the benefits of email drip campaigns to check in on customers after their first months, nor the ability to retweet a customer’s love of their new SUV. Why were Joe’s notes so successful? We can all agree that even though we can see straight through the bullsh*t, a good compliment or two is still appreciated. But to make sure that his clients didn’t see through his tactic, Joe only wrote his name on the front of the card, leaving off the car dealership. This way, he was able to sneak into the pile of mail as organic content. Oh snap. Organic content in the 70s. Joe got us beat by decades. I see you, Joe. A simple gesture, yet incredibly powerful. Why? His name was in the minds and mouths of every customer every month of the year. When friends of Joe’s customers were interested in buying a car, who would they recommend? Their good ol’ friend Joe. #NetworkEffects #Boom. Another reason why is the psychology of surprise. People have set expectations, especially of a brand, and car salesmen do not enjoy a positive reputation like a florist or someone selling puppies. When something defeats or disrupts these set expectations, it stands out to the consumer and affects their overall impression. The surprise creates an emotional fluctuation in a person’s experience = if positive, then your customer has a positive experience! Most importantly, the customers remember you. People do not forget happy surprises, and it can help you cut through the sound of other companies vying for their attention. Today’s customers expect gifts on their birthdays and holidays, left over from old car salesmen tactics like Joe’s. However, we can go beyond these presumptions with customer and social analytics. Create a magical moment by surprising your customer when they least expect it. Instances where a customer doesn’t expect a gift stand out the most in a relationship, leading to a boost in loyalty and retention. This doesn’t have to be an expensive marketing campaign that brings tears to our eyes. You just have to know what the key opportunities or ah ha! moments are from your customer’s point of view. Just overcoming a common barrier or challenge from your industry can bring surprise and joy! Like, Thor being a customer service rep for the day. Example: The Pill Club delivers your birth control to your doorstep every month for free. After a short sign-up process including insurance information, they’ll manage your prescription to help you get BC at the lowest rate. If you don’t have a prescription, the company’s RNs can work with you to get you the birth control you need. Surprise: With every delivery, they add gifts to help customers in their time of need, including Ghirardelli chocolates, soap berries, and organic tampons. And the customers love it #deliveredwithlove. Although Joe would’ve enjoyed buying in bulk from Amazon or Alibaba, the ROI of his car sales most likely justified the overall cost of the 13,000 notes. The same is true in today’s world: you don’t have to spend millions of dollars in a massive marketing campaign to achieve a similar personalized marketing campaign. The hand-written note still works today! Although small, these can still have a similar effect on the customer’s psychology, as customers value “free” gifts higher than receiving discounts. Example for corporate: Bond Business Solutions uses robotic technology to “hand write” notes. From their Founder & CEO Sonny Caberwal: “Intent is always where thoughtfulness comes from.” With their robots ready to go, they can bring your notes to life, even orders of 500+ cards. Example for personal/small business: Felt App is a mobile app that lets you “handwrite” messages to loved ones using your finger on your phone or tablet. You can then upload a picture or choose from their selection of original crafted cards. When you’re finished designing the card, it is printed on premium paper and shipped first-class! Result: Bond’s cards boasts having an almost 100% open rate, much higher than most digital marketing campaigns. The use cases range from sending holiday cards to family members to thanking valued customers for helping a business reach a major milestone. Whichever works for you, both startups enjoy great reviews with heart-filled notes and stories! As said earlier, people love to be flattered but can also see through fake promises. Starting off with an authentic brand voice can make the customer experience begin on a high note. It’s also much easier for a brand to follow through with that promise if it’s the truth. Joe Girard started off the customer relationship by being very real from the beginning. He would ask questions about the customer’s lives, from favorite activities to the positives & negatives of their current vehicle. He was authentic with his curiosity, both creating a sense of trust while also learning about the customer in depth. Example: Buffer App is a excellent example of the good ol’ fashion customer success tactic. For every new attendee of #bufferchat (their weekly tweetchat covering all things business), they send a “Buffer swag gift” from their Community Delight Headquarters. They’re also transparent when it comes to their operations, fundraising, even their salaries. Result: With each swag bag, Buffer converts a mere #bufferchat attendee into a super fan, and they LOVE to share their love (as seen in the tweets below). Fans are also open to giving feedback and advice when the Buffer team share grievances and problems. Executives will share problems with page views on their landing page or layoffs with their followers, being transparent with the sometimes tough and treacherous times of being a young company as well as adding humanity to the brand. Buffer successfully taps into network effects and enjoys the brand reputation of being fun, fresh, and incredibly down-to-earth. Know a brand that’s been exceptional at customer success, staying in contact, or just a ⭐ overall? Comment below with more examples!